A traditional ‘coal city’ in Huainan, in China’s eastern Anhui province, has launched the biggest floating solar energy plant. Ironically enough, it’s floating on a lake over a collapsed coal mine. The floating PV solar plant in Huainan will be operated by Sungrow Power Supply and can generate 40MW – enough to power 15,000 homes. This is double as much as the previous biggest floating power plant, which was located in the same province and manufactured by Xinyi Solar last year. Floating solar has myriad benefits including the fact that the water can cool down the solar panels (funnily enough overheating solar panels is a big problem so this proves a neat way of mitigating the issue). It’s also better to build the floating solar plants on manmade lakes as they are not ecologically sensitive, according to The Guardian. These manmade lakes can be left behind as a result of intensive strip mining so it is also a somewhat poetic way to watch the world transfer to ecologically friendly renewable energy without compromising any ecology. Although this floating solar farm is certainly an impressive feat, when compared to China’s land based solar it is quite small. 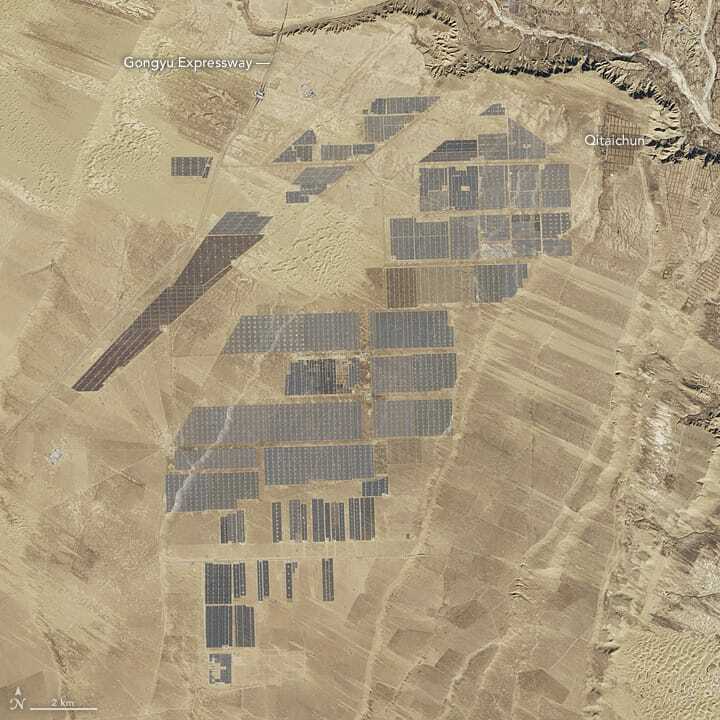 The Longyangxia Dam Solar Park produces a Brobdingnagian 850MW via 4 million solar panels, and this is set to be shown up by a 2GW (2000MW) project in the Ningxia Autonomous Region which will have 6 million solar panels and commenced phase 1 of construction in 2013. When completed, it will cover 4,607 hectares and will cost $2.34billion USD ($3.11b AUD). The park is now almost the size of Macau, according to NASA – have a look at the images below to see its transformation from 2013 – 2017. 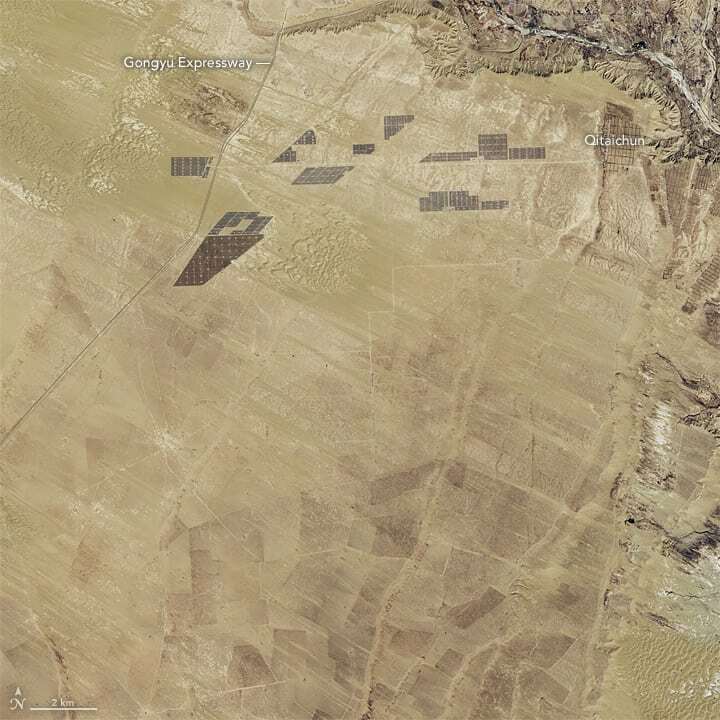 Hopefully energy storage in Australia can start thinking big like China – we have huge areas of unused space that would be perfect for a massive project like this.